The recent GetWired2015 conference sponsored by Beneficial Environments was a response to concerns about the proliferation of wifi and mobile phone technologies. This is the first video release from Get Wired 2015. Get Wired 2015 was organised in association with Stop Smart Meters! UK. Professor Victor Newman, the conference chair, is an expert in motivating organisations to innovate. He speaks about how new, safer technologies will become available to us all. He sees that fashionable new products will play their part as the world adjusts to the new reality of lost electro-innocence. We do hope you enjoy his talk about how organisations will respond to the need to reduce electromagnetic pollution. Please feel free to share the video. Victor is the Executive Chairman of Beneficial Environments, a leading Digital Risks specialist. He was formerly Head of Innovation Strategy & Economics at The Technology Strategy Board and Chief Learning Officer to Pfizer. As an early advisor to Cisco on the Internet of Things, Victor is now warning businesses about the risks from wireless technologies and explaining how innovation can happen within a new reality of EMF health risks.Innovation Practitioner and Visiting Professor in Innovation at Open, Greenwich and CCC universities, mentor to SILK, CIO to Institute for Study of Zombie Organizations. A Visiting Fellow to Cranfield University on the subject of Strategic Knowledge Management and Innovation, he also works with several business schools. 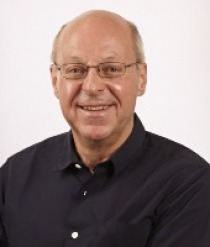 He is the Inventor of Emergent Knowledge Management techniques, including: Baton=Passing, Smart Failing, Predator, Helicopter Process Leadership, MOT, Behavioural Literacy and the Agile Innovation Leadership Programme.